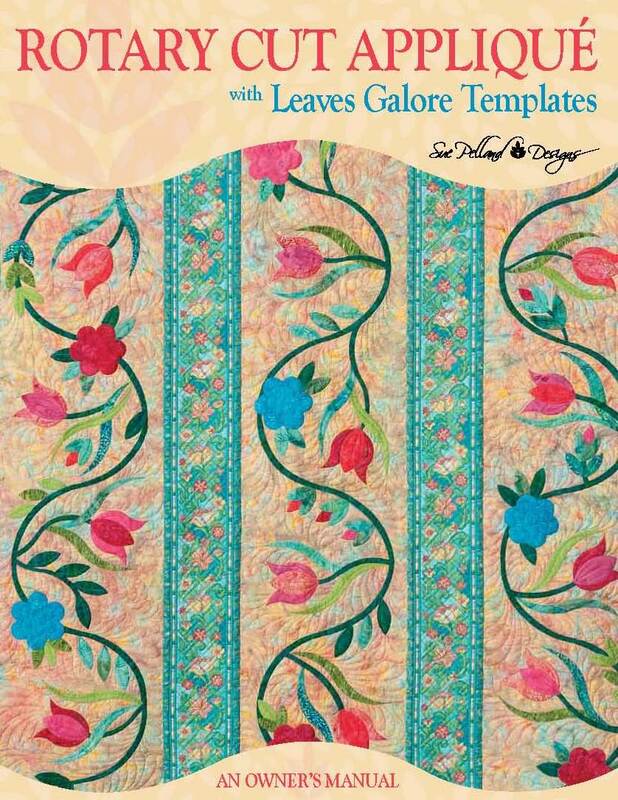 This book is the ultimate owner's manual for the Leaves Galore Templates! Let Sue guide you on the learning curve as you explore using your templates for more than just leaves. Nine chapters cover everything from cutting your basic appliqué shapes to creating one of a kind wavy fabric; from fabric frames to serpentine and scalloped edges. Jam packed with great tips, it is like taking all of Sue's classes and rolling them into one book. Detailed charts help you choose the right template for the job without having to do the math. Full color instructional photographs walk you through each chapter. Loads of inspiring photographs of quilts made with Leaves Galore. Practice your new skills by making five beautiful Leaves Galore Projects.